germinal centre reaction and its role in B-cell lymphoma (BCL; WP3) and rheumatoid arthritis (RA; WP4). 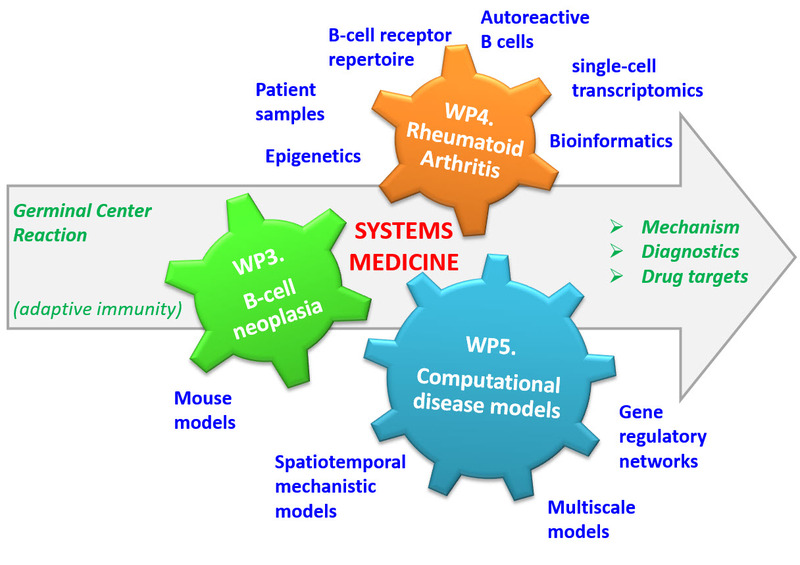 Computational disease models (WP5) will be developed to complement and guide the experimental work. Through the combination of these approaches we also aim at the identification of putative diagnostic markers and/or drug targets for BCL and RA. COSMIC established a unique cross-fertilization between the oncology and auto-immunity research fields.